Jose Mourinho has described Marcus Rashford as "untouchable" at Manchester United because the forward always plays to his maximum. 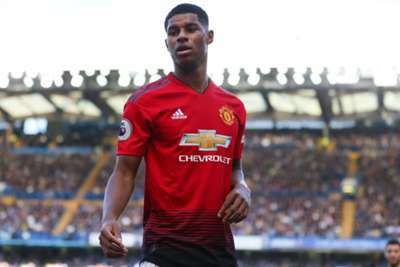 Nevertheless, Rashford goes into Sunday's trip to rivals Liverpool in fine form, having scored against Valencia on Wednesday and had a hand in three of United's goals in the 4-1 win over Fulham last weekend. But even when he is not directly influencing goals, Mourinho feels Rashford's work-rate effectively makes him unique at United. "I'm always pleased because he always plays on his limits," Mourinho told United's official website. "He gives absolutely everything and that's what I demand from players. "After that, more quality, less quality, better performance, not as good, but I think that's the basic thing of a professional and, at that level, Marcus is untouchable because he's fantastic in terms of his contribution for the team."